The paintings of Jim Berenholtz place him clearly in the realm of contemporary visionary arts, while at the same time reflecting his interest in ancient iconography and symbolism. These works are structured according to the universal principles of the mandala, and of temple art found at sacred sites throughout the world. Jim's art has been published in numerous cultural and metaphysical journals, in the album art of his music CD's, and in his first book, “Journey to the Four Directions” (Bear & Co., 1993). He has also exhibited his paintings at art galleries on Canyon Road in Santa Fe, New Mexico, and on the Plaza in Taos, New Mexico. In 2009 Jim was honored to be the November Artist in Residence during the Tutankhamun exhibition at the de Young Museum of Art in San Francisco, California. 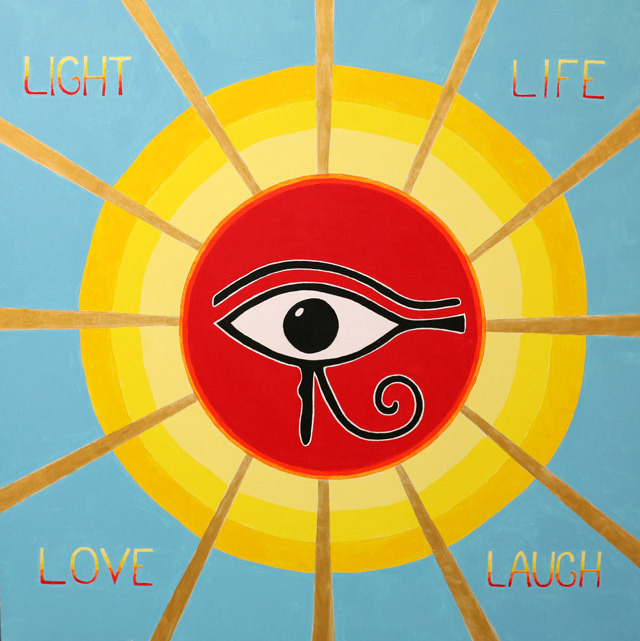 His paintings and other creations inspired by ancient Egyptian civilization were shown together in a multi-media installation entitled "Temple of the New Sun".